The Electric Factory, 421 N. 7th St. The venue formerly known as — and, to many Philadelphians, forever known as — the Electric Factory has been renamed Franklin Music Hall after a fan contest yielded more than 5,000 submissions. 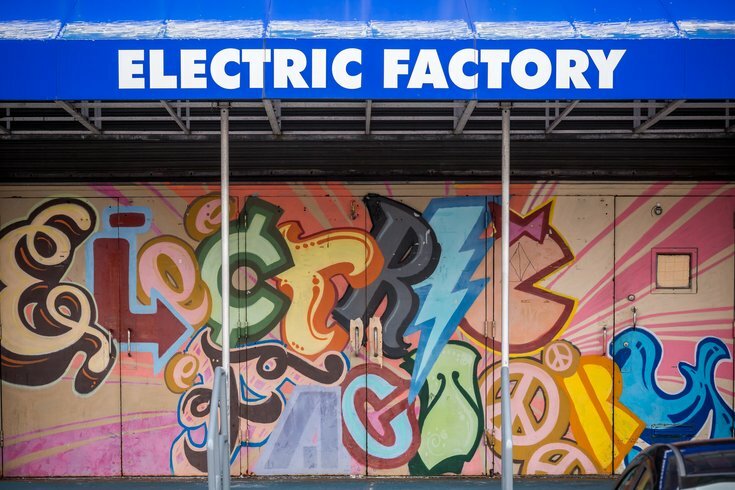 In September, AEG and promotion company Bowery Presents announced the purchase of the Electric Factory and temporarily re-named it North Seventh when, according to AEG, the former owner decided not to license the use of the Electric Factory name and its iconic logo. Philadelphia Weekly reported in September that Live Nation holds the rights to the logo, name, and trademark, and did not relinquish them to Bowery Presents as part of the deal. A release from Bowery Presents attributed the inspiration for the name to Philadelphia’s love for Benjamin Franklin. It’s also worth mentioning the old Electric Factory logo included a depiction of Franklin. Bowery Presents said that four different submissions to the naming contest suggested “Franklin Music Hall,” and all four winners will receive two complimentary tickets to every show at the venue through 2020. Larry Magid, a Philadephia promoter, developed the building into a concert venue, which was originally a General Electric plant, in 1994.